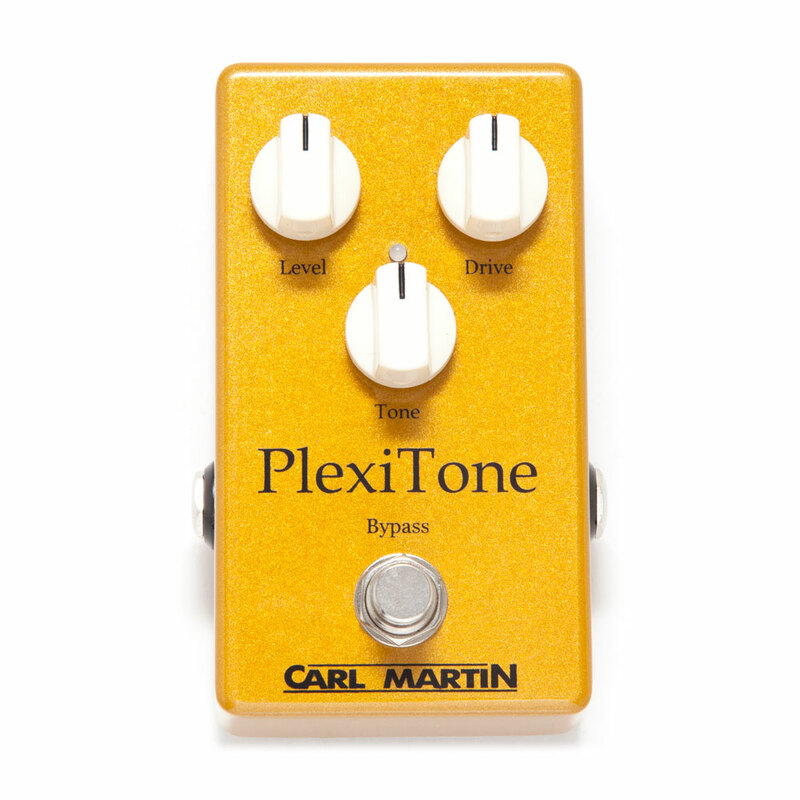 The single channel Carl Martin PlexiTone Overdrive Pedal was designed in association with Pete Thorn for a tighter bottom end and slightly softer high frequencies, but has the same gain structure as the High Gain setting on the original Pro-Series PlexiTone. Housed in a smaller, pedalboard friendly box with a 3 knob, level, drive, tone control configuration. The single Plexi also incorporates Carl Martin's new DC-DC converter circuitry, so the pedal can be powered by a regulated 9V Power Supply but will still operate on the same +-12V level as the original AC powered PlexiTone. This allows them to use the same high quality components which provide the tone and headroom that makes the Carl Martin Pro-Series stand out in the crowd.